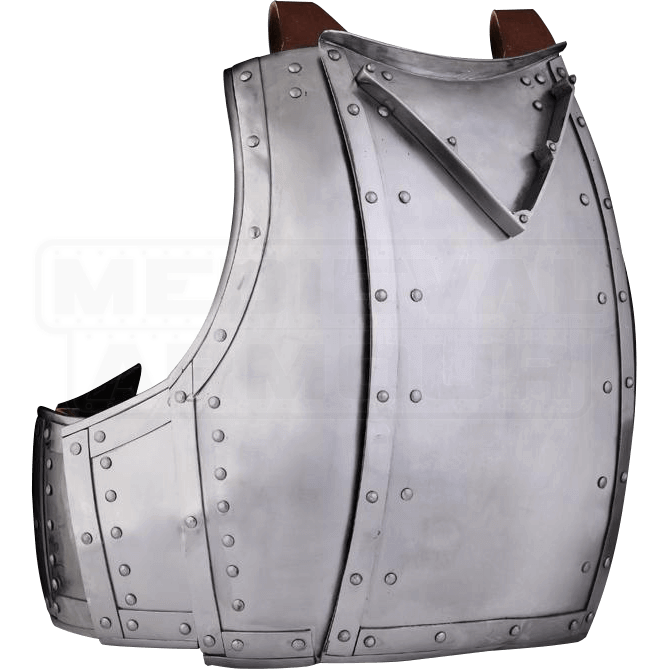 Modeled on a 14th century breastplate found in Churburg Castle in Italy, the Churburg Style Breastplate combines elements of the earlier transitional coat-of-plates armour and the white armour of the Late Middle Ages. 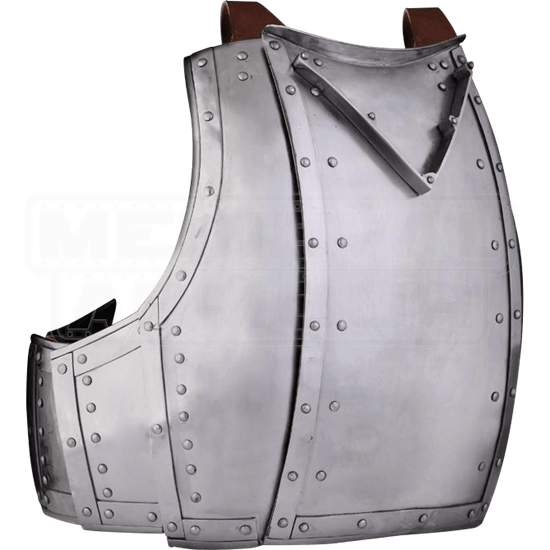 The steel breastplate is crafted from multiple metal plates riveted to leather straps on the interior, overlapping on the outside to provide a solid surface without gaps for additional protection. A V-shape raised strip of metal called a stop-rib appears on the front of the torso, intended to deflect blows away from the neck and face. Leather straps fasten the steel armour in the back.